Commercial work, with an emphasis on construction and engineering related disputes. General commercial work, involving insolvency, banking and contractual disputes. 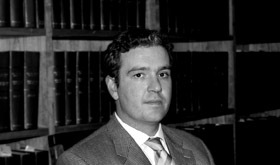 Jasper Daniels served his articles of clerkship, was admitted as an attorney and practiced as an attorney prior to being called to the Bar in 1999. He completed his pupillage in the then West Wing Group, one of the predecessors to the Maisels Group. Elbie Eiendomme CC t/a El Madre v Ryton Estates (Pty) Ltd  JOL 34599 (GNP). Dovelight Trading 17 (Pty) Ltd t/a Auto-Mate Service Centre v Scyton Auto CC formerly Auto-Mate Fourways & Others  JOL 32329 (GJ). Bunge NO v MEC for Health, KZN & Others  JOL 24369 (KZP). BPC Insurance Brokers (Pty) Ltd / Schultz  JOL 12215 (SCA).